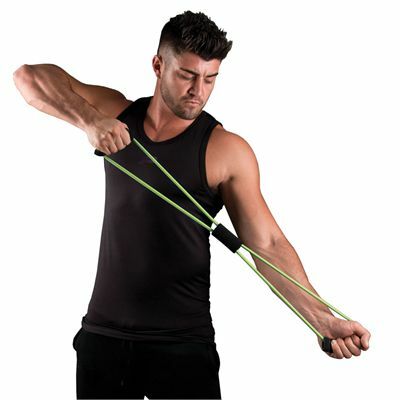 The Fitness Mad Figure Eight Medium resistance band adds extra intensity to your workouts and helps you strengthen isolated muscle groups, increase range of motion, improve balance and exercise your whole body. This heavy-duty, simple exercise tool has soft foam handles for a comfortable grip and offers a compact "figure eight" design. It is lightweight, durable and portable to allow for taking the workout with you when travelling. The band is made of latex rubber and can be used for physical rehabilitation sessions. This product is made of latex. Do not use if you suffer from a latex allergy. for submitting product information about Fitness Mad Figure Eight Medium Resistance Band We aim to answer all questions within 2-3 days. 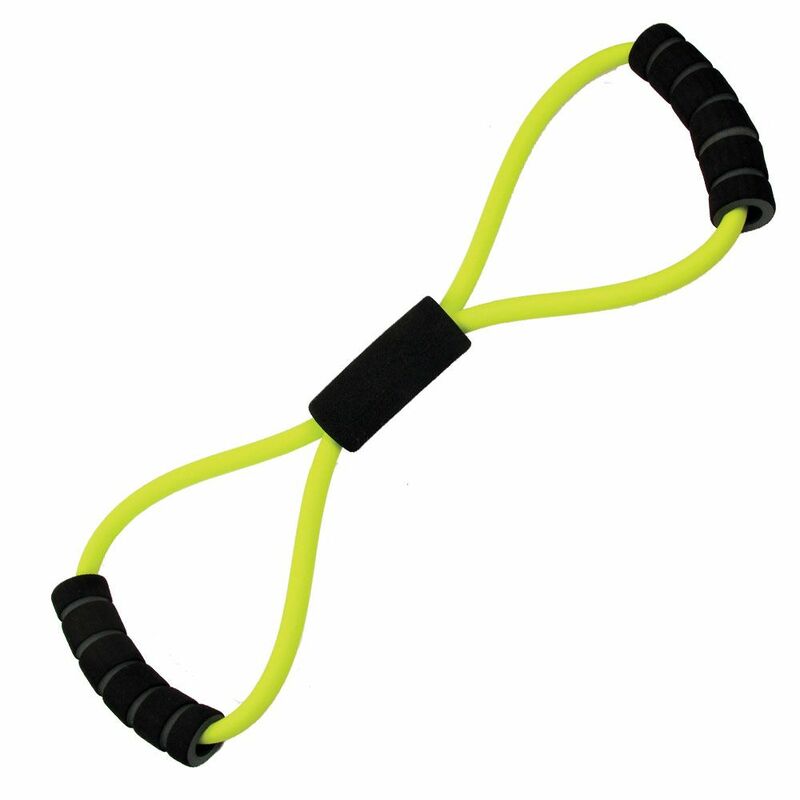 for submitting product information about Fitness Mad Figure Eight Medium Resistance Band. We aim to answer all questions within 2-3 days. If you provided your name and email address, we will email you as soon as the answer is published. for submitting product review about Fitness Mad Figure Eight Medium Resistance Band.